The development of new technologies for environmental reparation has allowed the application of inexpensive alternatives such as bioremediation, which has a high potential to treat ecosystems polluted with hydrocarbons. Microalgae-bacteria consortia have been identified as an efficient alternative for the detoxification of organic and inorganic contaminants and the removal of toxic compounds. This work investigates the phenol degradation potential of several alga-microbial consortia, which involved the algae Chlamydomonas reinhardtii and an osmotolerant phenol-resistant bacterial strain isolated from the bay of Cartagena, Colombia. A total of three bacterial strains were tested (i.e. Stenotrophomonas maltophilia, Microbacterium paraoxydans and Paenibacillus lactis) individually and in consortium with C. reinhardtii. Our data indicate a significant increase in the growth rate and a reduction in the lag phase of microorganisms in the consortium as compared to microorganisms growing in isolation. Interestingly, the inoculum ratio 2:1 (bacteria-microalgae) was shown to be the most robust taking into account that both microorganisms improved their growth. Afterward, the phenol degradation capacity of pure cultures and consortia in the presence of different phenol concentrations was evaluated. Our results reveal that such consortia perform better at low phenol concentrations; more specifically, the consortium Microbacterium paraoxydans-Chlamydomonas reinhardtii was the most effective: it reached a 49.89% phenol removal. D. Wolicka, A. Suszek, A. Borkowski, and A. Bielecka, “Application of aerobic microorganisms in bioremediation in situ of soil contaminated by petroleum products,” Bioresour. Technol., vol. 100, no. 13, pp. 3221–3227, Jul. 2009. A. Martínez–prado, M. E. Pérez-López, J. Pinto-Espinoza, B. A. Gurrola-Narváez, and A. L. Osorio-rodríguez, Biorremediación de suelo contaminado con hidrocarburos empleando lodos residuales como fuente alterna de nutrientes, vol. 27, no. 3. Centro de Ciencias de la Atmósfera, UNAM, 2011. P.-P. Zhang, Z.-G. Shi, and Y.-Q. Feng, “Determination of phenols in environmental water samples by two-step liquid-phase microextraction coupled with high performance liquid chromatography,” Talanta, vol. 85, no. 5, pp. 2581–2586, Oct. 2011. K. Lika and I. A. Papadakis, “Modeling the biodegradation of phenolic compounds by microalgae,” J. Sea Res., vol. 62, no. 2–3, pp. 135–146, 2009. M. T. Madigan, R. Guerrero, M. C. Chica Rueda, R. Duro, M. Piqueras, and C. Barrachina, Brock biología de los microorganismos, 10th ed. Pearson Educación, 2015. S. R. Subashchandrabose, B. Ramakrishnan, M. Megharaj, K. Venkateswarlu, and R. Naidu, “Consortia of cyanobacteria/microalgae and bacteria: Biotechnological potential,” Biotechnol. Adv., vol. 29, no. 6, pp. 896–907, Nov. 2011. D. J. R. Maria Filomena, And, and S. C. D. M. Rui Manuel, “Chlorella vulgaris as Soil Amendment: Influence of Encapsulation and Enrichment with Rhizobacteria,” Int. J. Agric. Biol., vol. 13, no. 5, p. 6, 2011. L. E. DeBashan and Y. Bashan, “Bionota. Bacterias promotoras de crecimiento de microalgas: una nueva aproximación en el tratamiento de aguas residuales,” Rev. Colomb. 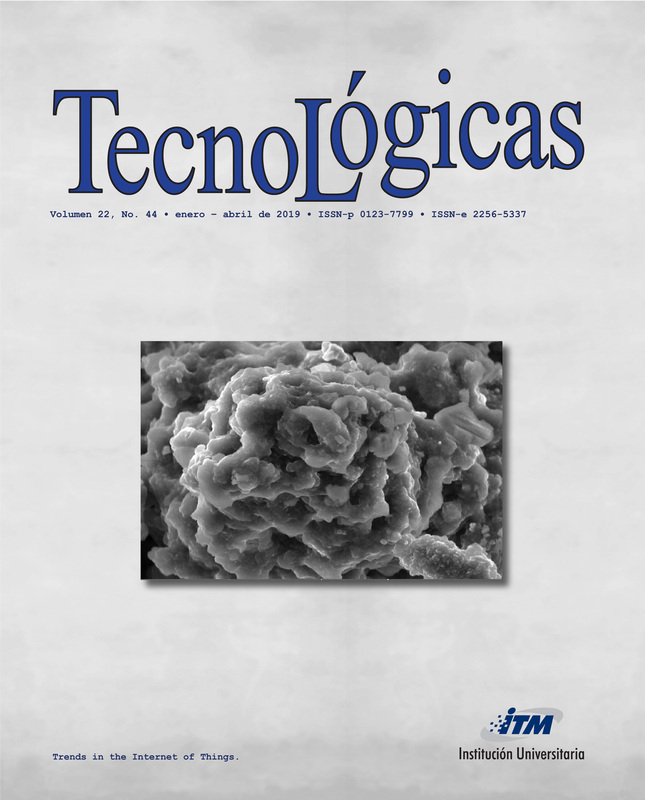 Biotecnol., vol. 5, no. 2, pp. 85–90, 2003. J. A. Frank, C. I. Reich, S. Sharma, J. S. Weisbaum, B. A. Wilson, and G. J. Olsen, “Critical Evaluation of Two Primers Commonly Used for Amplification of Bacterial 16S rRNA Genes,” Appl. Environ. Microbiol., vol. 74, no. 8, pp. 2461–2470, Apr. 2008. A. S. Whiteley and M. J. Bailey, “Bacterial community structure and physiological state within an industrial phenol bioremediation system,” Appl. Environ. Microbiol., vol. 66, no. 6, pp. 2400–2407, Jun. 2000. D. Samanthakamani and N. Thangaraju, “Potential of freshwater microalgae for degradation of phenol,” Indian J. Sci. Res. Technol., vol. 3, no. 2, pp. 9–12, 2015. Z. Liu, C. Yang, H. Jiang, A. Mulchandani, W. Chen, and C. Qiao, “Simultaneous Degradation of Organophosphates and 4-Substituted Phenols by Stenotrophomonas Species LZ-1 with Surface-Displayed Organophosphorus Hydrolase,” J. Agric. Food Chem., vol. 57, no. 14, pp. 6171–6177, Jul. 2009. J. Lee, D.-H. Cho, R. Ramanan, B.-H. Kim, H.-M. Oh, and H.-S. Kim, “Microalgae-associated bacteria play a key role in the flocculation of Chlorella vulgaris,” Bioresour. Technol., vol. 131, pp. 195–201, Mar. 2013. M. Rivas and C. Riquelme, “Probiotic Biofilms,” in Probiotics, InTech, 2012. F. M. I. Natrah, P. Bossier, P. Sorgeloos, F. M. Yusoff, and T. Defoirdt, “Significance of microalgal-bacterial interactions for aquaculture,” Rev. Aquac., vol. 6, no. 1, pp. 48–61, Mar. 2014.